Early this month Robbie William walked out of rehab wearing a new tattoo on his right handle knuckles. The tattoo read ‘L-O-V-E’. It’s not his first tattoo and he wears innumerable tattoos on his body. I like his tattoo on his right arm, which is designed with a portrait of lion and BORN TO BE MILD under it and ELVIS, GRANT ME SERENITY above it. 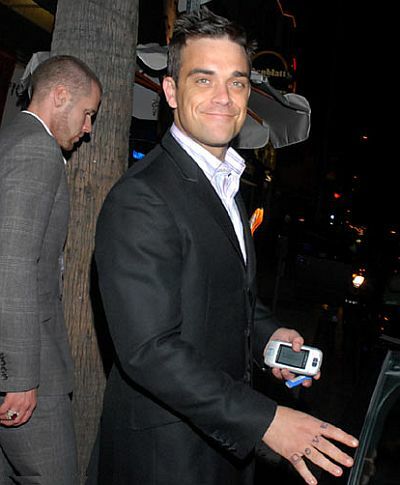 Pop star Robbie Williams also wear Celtic cross on his hip even that cross is beautiful. See more picture of Robbie William in tattoos.